A & T can make sure that your business in Houston remains in top condition. Our cleaning staff is available to clean after hours and work around your times of business operations. Once you use our Houston commercial cleaning services, you’ll also gain considerable price savings. You will save by not having to pay employee associated with a cleaning staff. Furthermore, we will professionally manage all commercial cleaning and janitorial work at a single or multiple property set up. 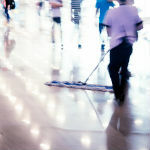 Due to the fact there are numerous Houston commercial cleaning services within your region, it may be challenging to select the greatest fit for the work. More often than not going with the lowest price choice doesn’t give you with the best outcomes. Oftentimes, a skilled company that charges a fair industry price will supply superior quality services as well as exemplary client service. When choosing a Houston commercial cleaning services for your business, contact numerous businesses and have them visit your premises for a complete estimate. Expert cleaners will be in a position to supply a comprehensive quote for the complete cost of your business cleaning objective. Due to the variety of services, be certain to detail a lot of the work that you would commonly require such as dusting, mopping, and vacuuming. For instance, a few businesses could supply deep carpet cleaning a number of times a year as part of their standard services or you could choose deep cleaning services only when needed. Also, be certain to ask for numerous quotes if a cleaning business has various packages available. With the price quotes, you can identify the option that best meets the requirements of your company. Furthermore, take into consideration the degree of experience of the cleaning companies before making a decision. Once you have narrowed down your cleaning company quotes in Houston Texas, make certain to obtain references from the business. In addition, ask the commercial cleaning services company for proof of insurance and their business license. Without the proper insurance you might be liable if a worker is injured on your premises. If a cleaning business can provide proof of work experience, insurance , as well as a proper business license, you can give consideration to them as a viable choice. Once you have selected a cleaning company in Houston Texas, inquire if there’s a contract to sign for conducting business with them. Be certain to read through all of the details of the contract specifically if you are seeking out long term services. Consequently, you can typically pick payment schedules on monthly, yearly, and sometimes weekly rates. Several businesses might also offer fee per service options where you could have specialists come into your building for a one-time deep service. Finally, it may be advantageous to check the business out on the internet and see a few reviews of their Houston commercial cleaning services. This task may be an outstanding final check that will enable you to get several honest references for the company. Additionally, the Houston commercial cleaning services company will need to supply you with customer references for your review. When you check references, relevant experience, and pricing, you should feel more confident that you have selected a top Houston janitorial service company like A&T janitorial.